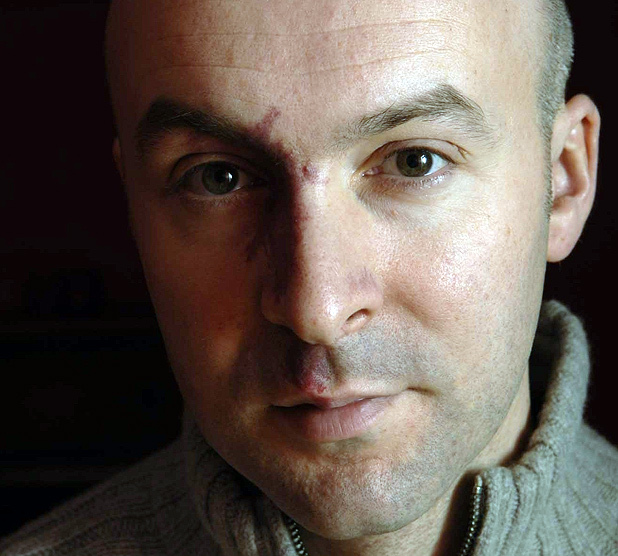 I knew I was to attend a writing workshop run by Arvon at Moniack Mohr in Inverness-shire in Scotland and that Christopher Brookmyre, a leading exponent of Tartan Noir was to be the guest tutor. I had only read one of his books, Quite Ugly One Morning. It is reviewed here https://bookreviewstoday.wordpress.com/2014/05/26/quite-ugly-one…pher-brookmyre/ , but I did not really enjoy that book. So I decided to read another of his works, in the hope that I might get on better before I met the author. I chose Where the Bodies are Buried from my local library and I really did enjoy it. 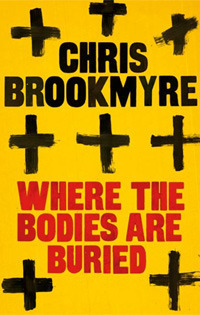 Aficionados of Christopher Brookmyre told me that his was one of his more serious books, that he had “gone straight” with Where the Bodies are Buried. I was surprised, this is a crime fiction novel, but it did not seem serious to me. To me, the author had certainly not lost his acute sense of the bizarre. Brookmyre’s sly, dry and clever sense of humour was ever present. Where the Bodies are Buried might be a police procedural, crime fiction based book, but it is still classic Brookmyre from the start to the end. The story is based in Glasgow, Scotland. Detective Catherine McLeod was always taught that in Glasgow, they do not do whodunit. They do score-settling. They do vendettas. They do petty revenge. They do can’t-miss-whodunit. This is a lesson that has served her well, but Glasgow is a dangerous place to make assumptions. Which ever way she looks at it, she realises that the discovery of a dead drug-dealer in a back alley is not good news. Across the city, aspiring actress Jasmine Sharp is a reluctant and somewhat incompetent assistant in her uncle Jim’s private investigation business. Then Jim goes missing and Jasmine has to become a real investigator. Her only lead points to Glen Fallan, a gangland enforcer and professional assassin, whose reputation is rendered only slightly less terrifying because he has been dead for twenty years. Jasmine traces footsteps of the accomplished killer. She stumbles into a web of corruption and secrets that have been hidden for years. The corruption could tear an entire police force apart, provided Jasmine can stay alive long enough to tell the tale. So do not panic. This book is bizarre and beautifully paced. In Where the Bodies are Buried the action rolls on, the people do their thing, the tension rises. I lost sleep as I did not want to put the book down. Christopher Brookmyre certainly knows how to write books. He can write very good books. Where the Bodies are Buried is one of these. Different from his other books.